The forex market is one of the most attractive places to invest in. In many ways, it looks like a straightforward activity to get in involved in. After all, what’s so difficult in placing and closing orders? The simple answer to this is everything. In fact, most retail forex traders fail at the first hurdle, which is choosing a reliable broker. Any wrong choice made at this point renders the rest of the process irrelevant. It does not matter how good you are at predicting trades. If you are dealing with the wrong broker, you are most likely going to lose money, somehow. Therefore, this is why market experts emphasize choosing a licensed broker, a broker that can be held accountable should their actions lead to an investor losing money. So, how do you avoid dealing with unlicensed brokers? Every experienced online trader will tell you that the first step is always to do an in-depth online search of a handful of brokers based on the instruments you want to trade in, location, fees if any, as well as, the methods of making deposits and withdrawals. Most licensed brokers have everything about these factors set in stone with clear and concise information. But not so much when it comes to unlicensed brokers. 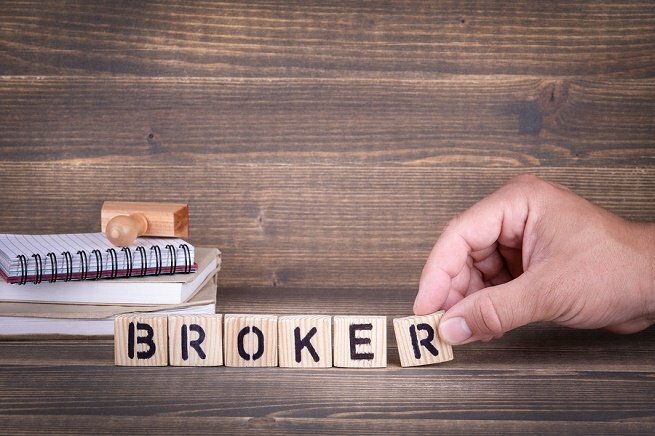 So, here are five tips to separate pretenders from real brokers. Take your time to search via online brokers reviews. Read the comments of traders that have dealt with the broker and see whether there is a certain level of negative comments. Coming across one or two negative comments may not be enough to render a broker as dangerous or illegal. At times it might be just a disgruntled trader and nothing more. But if the negative comments are plenty, then chances are that the accusations made are genuine. Is the broker licensed? Depending on the location of the broker, check the regulatory authority’s directory to see if the broker’s name appears under the list of licensed brokers. Make sure that the name is a perfect match and that the list is up to date. At times, brokers can lose their licenses as punishment for conducting illegal business outside of their jurisdiction. The forex market is filled with hundreds of unlicensed brokers. Some claim to be licensed but they are not while others are quite open about it and never put the ‘licensed sign’ on their websites. Most of these brokers lack proper licensing from top regulatory bodies including FCA (Financial Conduct Authority) in the UK, ASIC (Asutralia) and CySEC in Cyprus and the EU. Check deposit and withdrawal requirements. These can help to determine whether the broker fits your investor profile. Brokers keep investor funds in segregated accounts to avoid conflict of interest. If your online broker does not provide this, then that is the first sign that perhaps you should check elsewhere. Most brokers allow traders to deposit money in their trading accounts within minutes. However, when it comes to withdrawals, it sometimes can be a tasking process with some brokers taking up to a week to process withdrawal requests. If there are too many complaints about withdrawals, then you should avoid using that broker. Check actual trading instruments available. Another thing that a trader can use to determine whether or not to invest using a particular broker is the number of tradable instruments. Some brokers list hundreds of instruments as available for trading. However, when you log in on the platform, only a few of those instruments are available for trading. This is the first sign of deceit and that kind of broker is likely displaying more deceitful information about them than they would be willing to admit. Finally, customer service. Most brokers focus on sales, just like most online service providers. As such, you find that they are more willing to get you signed up and making your first deposit, but after that, things can get pretty ugly. Some brokers are even reluctant to provide technical support and this says everything about what you can expect to get when making those crucial account related calls. In summary, the few tips listed here may not be exhaustive because as traders learn more about their treacherous brokers, the more these brokers evolve. Therefore, there could be more tips to add here, which can be discussed in the comments section. But generally, these are some of the most important things to look at when selecting an online trading broker.